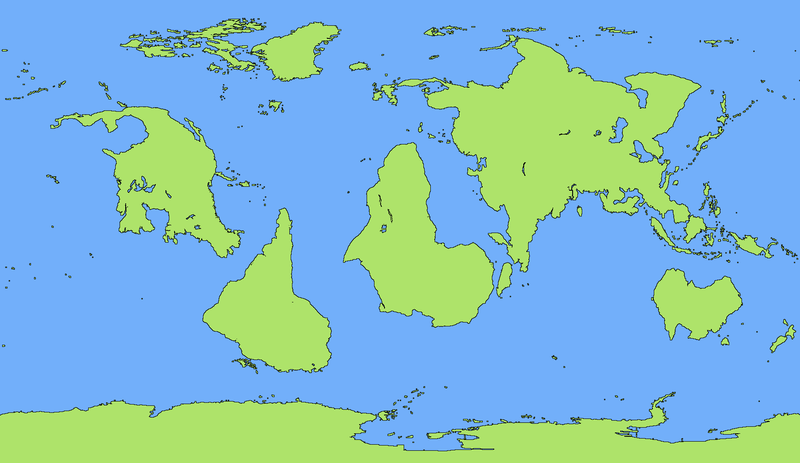 Let's say, completely hypothetically, that I was inspired by an XKCD map and a redrawing based on actual geographic projections, and want to set an RPG campaign in that world. It involves people in the far east of the Asian landmass, in Europe and the nearby islands (Wa, Malaya, etc. ), traveling to the far west, to China, to trade and obtain exotic goods such as olives. Adjusting Europe and China to this setting is not hard given what I know of both. But in between, there's Siberia, about which I know very little. The language I can get enough tidbits about from articles and online dictionaries that I can come up with city names, but I don't know much about the culture. Everything I've seen is very recent and Russocentric, and a lot of the cultural attributes seem to revolve around the climate, which isn't relevant in this setting. What should I read about indigenous cultures of Siberia to resolve this? This is just a crude solution, but for whatever it's worth, I'd like to suggest just reading about the cultures of individual groups of people in Siberia, starting with Wikipedia if nothing else, and also taking a look at this and maybe this. You could probably look around for songs in the region, or I could probably even show you some because I've probably dug up a bunch of YouTube videos of them anyway. Ooh, do you have links to the YouTube songs? Yep! Lemme just dig 'em up...there are all kinds of languages spoken in Russia (including outside of Siberia, e.g. Mordvinic languages, plus all those Caucasian languages), so the hardest part for me is always trying to figure out which ones are from Siberia and which are from parts of Russia that don't count as Siberia. (Btw if you haven't already, you might want to look into those cultures as well, e.g. https://en.wikipedia.org/wiki/Mordvins# ... ythologies). For instance, I'm not entirely sure whether Nenets counts as "Siberian," but I'll assume it does since it is spoken in Siberia, too. The first map is the distribution circa the 17th century, before the Russians had really expanded. The second map shows the situation around the mid 20th century. The first map just has language families; within each coloured area there are many different languages and groups. The second map has more details of which particular languages and groups were in which areas, as we have better documentation from that time period. Forsyth, James. 1991. A History of the Peoples of Siberia: Russia's North Asian Colony 1581-1990. Cambridge: Cambridge University Press. The London-based NGO Minority Rights Group International occassionally publishes information on particular peoples (usually relating to their oppression by a local authority), and they have done several on Siberian peoples. Abondolo, Daniel. 1998. The Uralic languages. London: Routledge. Bugaeva, Anna. 2004. Grammar and folklore texts of the Chitose dialect of Ainu subtitle (idiolect of Ito Oda). Osaka: ELPR. De Reuse, Willem Joseph. 1988. Studies in Siberian Yupik Eskimo morphology and syntax. The University of Texas in Austin PhD Dissertation. Dunn, Michael John. 1999. A grammar of Chukchi. Australian National University PhD Dissertation. Canberra: Australian National University. Gruzdeva, Ekaterina. 1998. Nivkh. München: Lincom Europa. Harrison, Kevin David. 2000. Topics in the phonology and morphology of Tuvan. Yale University PhD Dissertation. Johanson, Lars & Csato, Eva (ed.). The Turkic languages. London: Routledge. Körtvély, Erika (2005). Verb Conjugation in Tundra Nenets. Studia Uralo-altaica, 46. Szeged: Benjamins. Künnap, Ago. 1999. Kamass. München: LINCOM. Maslova E. 2003. A grammar of Kolyma Yukaghir. (Mouton Grammar Library 26). Berlin: Mouton de Gruyter. Nikolaeva, Irina & Tolskaya, Maria. 2001. A grammar of Udihe. Berlin: Mouton de Gruyter. Riese, Timothy. 2001. Vogul / München : Lincom Europa. 87 p. ; 21 cm. Series: Languages of the world. Materials 158. Salminen, Tapani. 1997. Tundra Nenets inflection. Helsinki: Suomalais-Ugrilainen Seura. Salminen, Tapani. 1998. A Morphological Dictionary of Tundra Nenets. Helsinki: Suomalais-Ugrilainen Seura. Shibatani, Masayoshi. 1990. The languages of Japan / Cambridge : Cambridge University Press. If you can read Russian, there's also a lot of Soviet-era documentation of indigenous languages. A note of caution, however: while in English, "Siberia" refers to everything east of the Urals, the Russian term sibir' apparently excludes the easternmost reaches, which have a separate designation. A note of caution, however: while in English, "Siberia" refers to everything east of the Urals, the Russian term sibir' apparently excludes the easternmost reaches, which have a separate designation. Wow, the Yukaghir have taken a hit, haven't they. The area in red on hwatting's map is an administrative region called the Siberian Federal District.